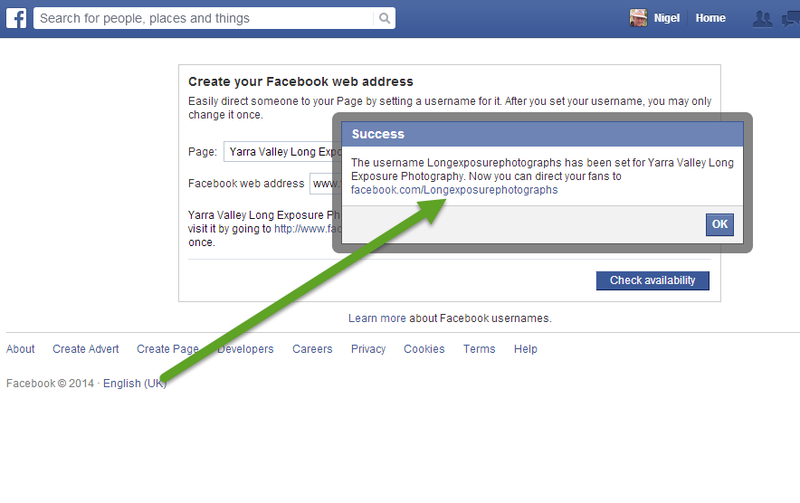 Its sometimes an advantage to change the URL (which means Unique Address) of a Facebook page to include some key words from the business or service you offer. For example you may have a band, and you may want to include the name of the band in the URL to make it easier for you potential audience to find you and enjoy your music. 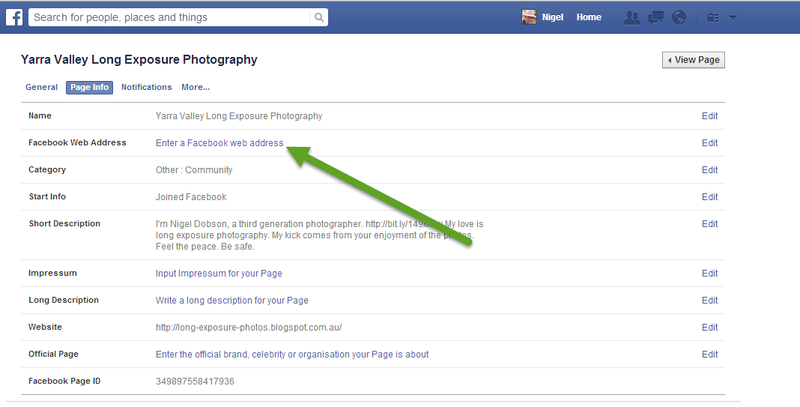 For the purpose of this blog post, I will show you the steps to personalise the URL in this case for a Facebook page where I post "Long Exposure Photographs", a particular type of photography. Open Facebook. 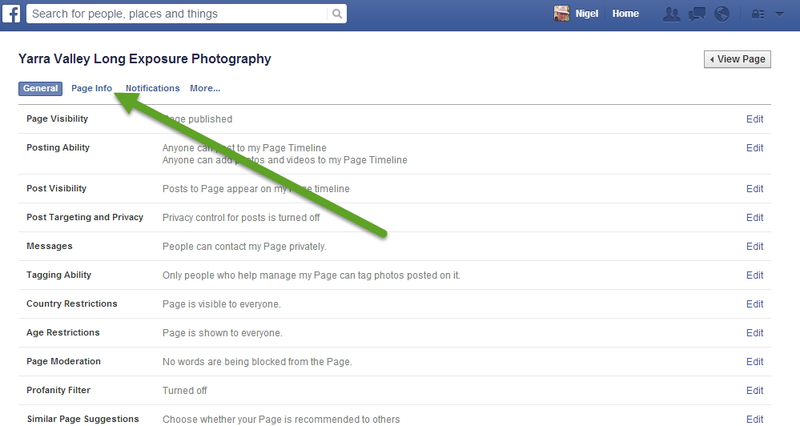 Click to open the Page that your administer. 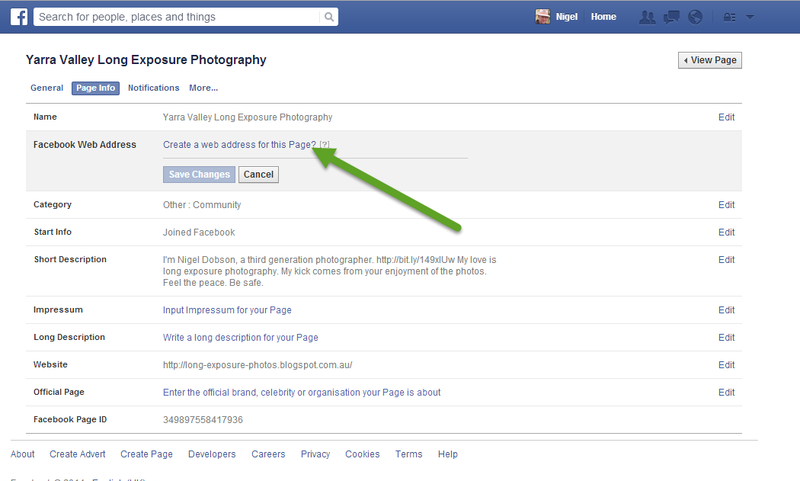 Click on Create a web address for this page? Type your chosen URL here. I first tried LongExposurePhotography without spaces. 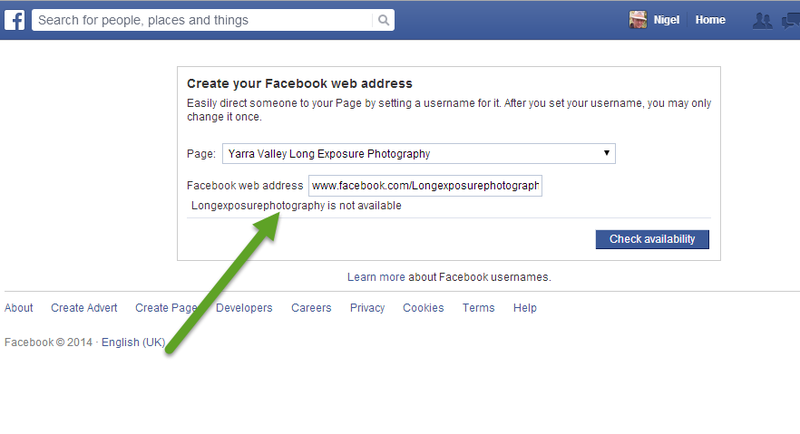 Longexposurephotography has already been taken, so I changed it to longexposurephotographs and that was available. You will get a warning to let you know this is a locked-in situation and cant be changed back. 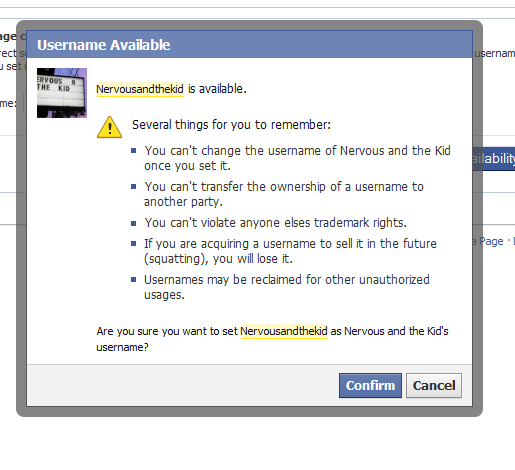 Finally its done and you will get confirmation of the new name for your Facebook page. And that's in. You can them email the URL to your fans, or include in in your website for fans or clients to click on. Good luck.